A full round up of all our must do's and see's on the island. This was our first time traveling to Hawaii, so we based a lot of our trip on other people's recommendations. Maui seemed to have the highest approval rating amongst the islands and our friends who've been lucky enough to experience this magical place. So, we split our time between two different cities in Maui to explore a little more of the island. Our first stop was The Four Seasons in Wailea. Four Seasons Resort Maui // This place is incredible! Shane and I have been fortunate enough to travel all over the Caribbean together, and this is by far the best resort we have ever stayed at. The grounds are beautifully decorated with sky scraping palms, Purple Plumeria, and of course - Hibiscus. Everything is lushes and green, and very well kept. Upon arrival we were greeted with Lei's, a refreshing mint lemonade, and the sweetest front desk staff (ask to work with Almira if you're headed there - she's amazing). Although we have never stayed at a Four Seasons prior to this (so we don't have any type of status with them), we were upgraded to a garden room executive suite. Our accommodations were top notch. Our bedroom was separate from our living/dining area, the room came equipped with a Nespresso machine, and the bathroom was decked out in marble. What really makes this place though, is the service and staff. We spent most of our time at the Serenity Pool (adult pool), which is located at the back of the hotel and oversees the ocean (pictured below). The staff at the Serenity Pool dress your chair with towels, provide sunscreen, beverages, food, and walk around about every half hour to hour with complimentary bites to eat, cucumbers for your eyes, fresh coconuts etc. I highly recommend the Mahi Tacos at the pool! 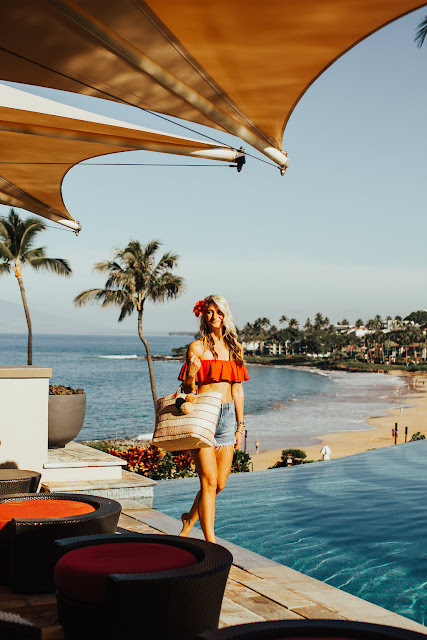 Ritz Carlton Kapalua // We spent the second week of our trip in Kapalua at the Ritz. We are loyal Marriott members, and have experienced the Ritz Carlton brand all over the world. However, this wasn't our favorite property. To be honest, and this is going to sound like a luxury problem because it is, this hotel just didn't feel like the typical Ritz brand. Don't get me wrong, there is nothing wrong with this hotel at all, it just didn't feel like what we were used to out of a Ritz Carlton. It felt more like a Marriott. 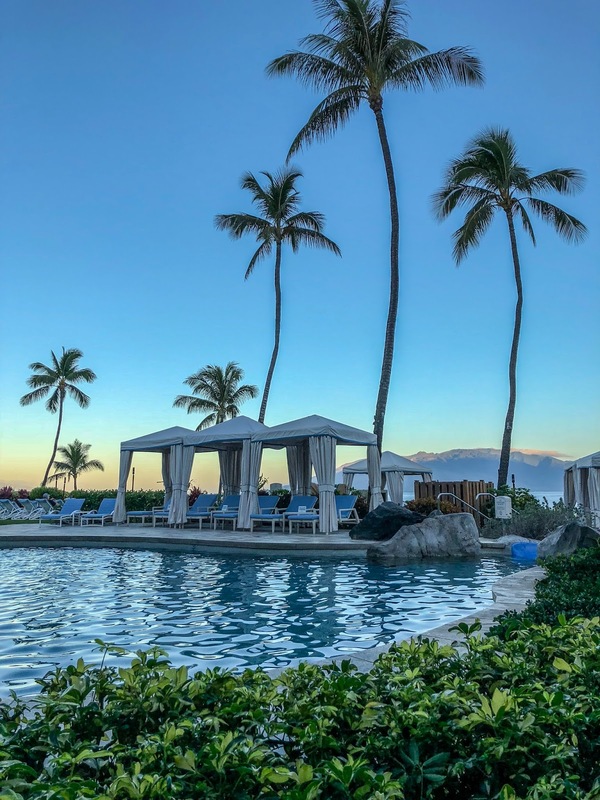 This hotel is located much more north of Wailea, so it's a little windier and it tends to rain more often in this location as the mountain isn't there to shield the property from the weather. The hotel itself is surrounded by pine trees which I found ironic as we were expecting a more beachy vibe. We were not greeted with Lei's upon arrival, however the staff was happy to help with our bags and were delightful to deal with. Despite our status with Marriott, we did not get upgraded at this hotel so our room felt much smaller. Each room does come equipped with a Nespresso machine, however they supply the machines with pods from an outside vendor rather than Nespresso. This hotel has an "adult" pool, however all three pools are connected. So even though the "adult" pool is labeled no kids, you can still see/hear them. While we love kids, we were on our honeymoon - so we were seeking a quiet more mature setting. This hotel also does not have it's own private beach. It does have beach access, however it's a long walk and chairs are not supplied as it is open to the public. You can't have a bad meal in Hawaii. The food is unparalleled, and if you like seafood - you'll be in heaven! We tried a wide variety of restaurants on/off the property. Here's where we ate with number one being our favorite in each location! All of these are great options, the only one we recommend foregoing is Banyan Tree. Some are also known for their breakfast/brunch over just dinner, so don't be weary of trying both! Blue Hawaiin Helicopter Tour // We took a helicopter tour over Hana and Haleakala. This was on my "must do" list as so many people had recommended it to us! It's so cool to see Hawaii from above, and truly an experience to remember. I'd love to do it again, but I think we would opt for a tour that actually lands in front of the waterfalls. This is much more expensive, but if you can swing it - so worth it! Ours just flew above them, which was insanely pretty - but I so would have loved to stop and get out and really take it all in up close! Snorkeling + Snuba Tour // We snorkel in every Caribbean place we go too, so this was a given! We took a catamaran from Kaanapali Beach, which is about a 15 minute drive from Kapalua, over to a reef to snorkel. The underwater life in Hawaii is unbelievable! We swam right in between massive sea turtles, and they aren't afraid of people what so ever! Lots of them will come face to face with you and just stare, haha. Highly recommend doing this! Whale Watching // Peak Whale Watching season in Hawaii is January to March! While you can see them pop up from any hotel on the water, we also took a boat out to see them up close and it did not disappoint! They are everywhere, and the happiest mammals! Lots of them were springing out of the water and flipping their tales for us, such a cool experience! 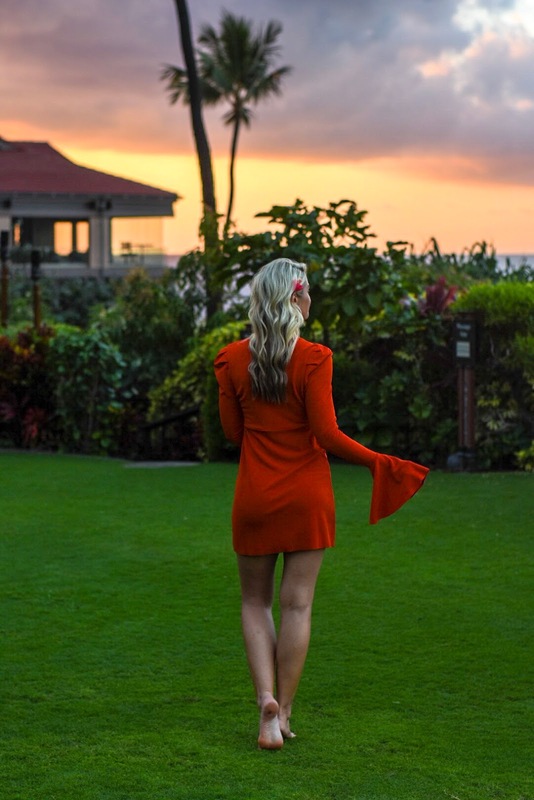 Splurge on Kona Coffee - The breakfast buffet at the hotel included regular coffee, but Hawaii is home to 100% Kona coffee so you will see the option to purchase Kona coffee out of a french press. Do this! If you are a coffee lover, it's absolutely delicious and worth the extra cash. Make Dinner Reservations Early - Shane and I are typically 7/7:30 PM dinner eaters - however, the sun sets in Hawaii during the winter around 5:30 PM, and almost every restaurant we ate at was on the water. The sunsets are beautiful! Trust me when I say you want to watch them. Depending on where you are flying from, eating earlier also helps with not falling asleep before dinner time even comes around. So with that being said, we made all of our reservations between 5:00-6:00 PM. Eat Local Foods - Hawaii is also known for their endless array of fresh caught seafood! Neither one of us are big seafood eaters, but ya'll - I had the best Mahi Mahi I've ever tasted in my life! If you're staying at the Four Seasons, I highly recommend the Mahi Tacos at the pool as well. Step out of your comfort zone, and try some local favorites like a Loco Moco too! In addition, the Maui Gold Pineapple there is to die for! I had a plate of Pineapple with every breakfast. This trip sounds just dreamy! 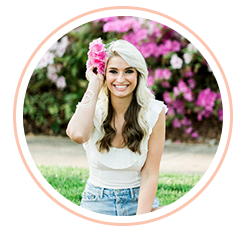 Your photos are beautiful and there's nothing better than first hand recommendations. Thanks for sharing the details of your amazing wedding and honeymoon with us. The red ruffle swimsuit is stunning on you and your hard work for your Hawaii-ready figure totally paid off!!! Well done! Is any of the car operators provide integrated tour services for wildlife places? Many people out there who want travel companion for hire. Because they know what is tour and what is tour guide. Tour guide can make a tour joyful. Because they know how to handle a tourist. Thanks for sharing nice information with us. i like your post and all you share with us is uptodate and quite informat. if you want to visit indian historical monuments then you can book Golden Triangle Tour 5 Nights 6 Days tour. I found so many interesting stuff in your blog especially its discussion really its great! Keep it up. Thank you so much for sharing this post!! If you are looking for the best Agra tour with one day Agra tour at very reasonable price. Thanks for great information,Agra is the most famous city of India due to the world famous Taj Mahal. If you are looking for the best hotel then book this: Best Business Hotels In Agra at very reasonable price. Home shifting is way more complicated than people think. Most people consider doing it on their own, but that's not a good or sensible choice. Instead, take help of professional packers movers in pune to make your shifting process an enjoyable experience. Thanks for sharing your post, very informative and well-written. Hope to read more travel tips specifically in Australia and New Zealand. Restaurants in Dubai Really appreciate you sharing this blog post.Really thank you! Cool. used toy haulers for sale Really enjoyed this blog article.Thanks Again. Really Great. travel and tour package India I’m excited to uncover this page. I need to to thank you for ones time for this particularly fantastic read !! I definitely really liked every part of it and i also have you saved to fav to look at new information in your site. I'm so happy I found this piece, reminds me of my 2017 honeymoon in Maui! I love this beautiful Hawaiian island so much, with its people, landscapes, food and waters. My husband even got me diving, we explored together Olawalu Reef (https://dive.site/explore/site/olowalu-reef-von5) among other brilliant dive spots. Can't wait to be back there, going to use your article to discover what I missed last time! Do you or your family need a loan in order to take a vacation? 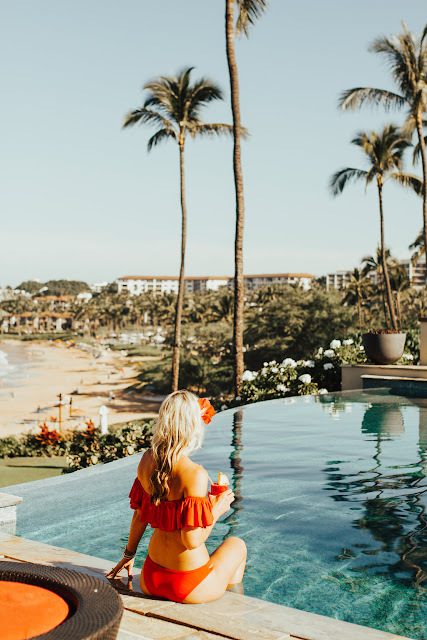 Short term loans direct lenders may help you find a lender who offers a vacation loan that will aid you to pay for some or all of your vacation costs. This is good news for anyone who wants to go on vacation, but have they are still at home for their issue with their small budget. You could find a lender who can help you to get a loan from lenders. This will help you to get away and enjoy yourself because everyone needs a vacation.